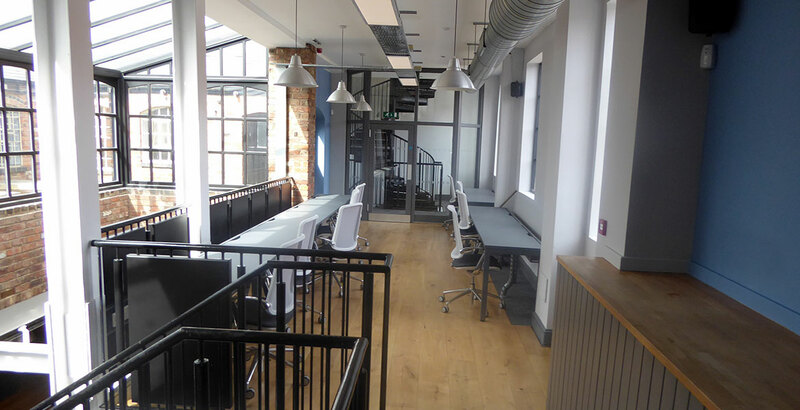 This was a commercial refurbishment in Birmingham converting a former restaurant and bar into a Head Office for the UK’s oldest and leading independent news and photo agency. The project brief was to retain and enhance the existing restaurant and bar theme of the building’s former usage so that the building’s history would not be removed and forgotten. 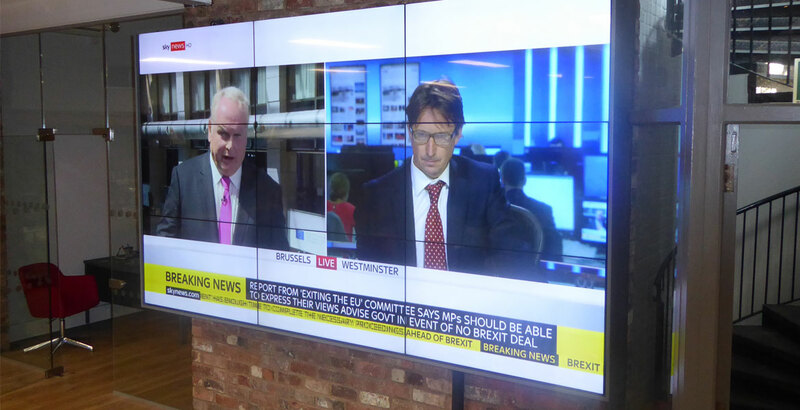 To create an office suitable for the international headquarters of a leading news agency for forty staff also including a staff break out area, Directors Office, meeting rooms and to create a 9 screen audio visual wall. The building itself was part listed and the main frontage was in a conservation area. The work took place over the three floors of the building. 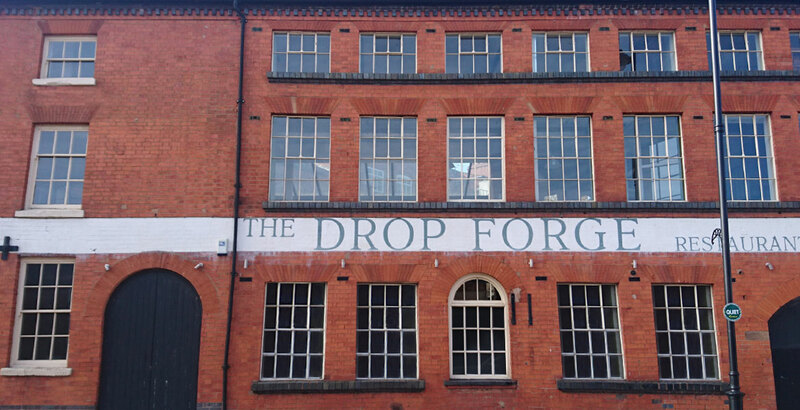 The existing museum area display of how drop forge work was undertaken in the 1800’s/early 1900’s had to be maintained and incorporated within the scheme. The existing commercial catering kitchen, which was in a poor condition, was completely stripped out and then the structural floor had to be completely replaced. This area was converted into a tea point with a staff break out area, comprising bespoke booth seating and tables, kitchen units, TV, space provision for a pin ball machine and new feature vinyl flooring installed. 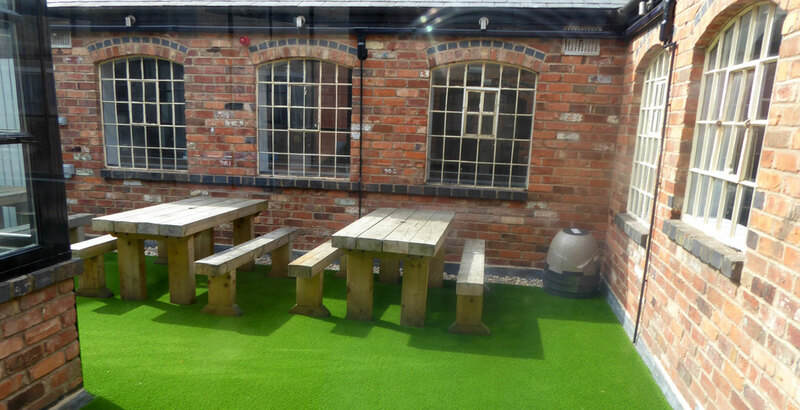 The existing roof timber patio area, located at first floor level, which was previously used as a restaurant eating and drinking area, was stripped out and replaced with a “state of the art” artificial grass system which had several drainage layers built into it, with pebble borders. Picnic style timber tables and benches were then added to enhance the staff break out area. A biometric door entry system was installed, together with upgrades to the existing security and fire alarms, and the emergency lighting. New electrically operated security shutters were installed to the internal side of the ground floor windows. Other works included providing new lighting for the desk areas which had to have an “industrial feel”, to maintain the theme of the building, together with new small power and data provision to all areas. Decoration works was carried out throughout, together with refurbishing the existing toilet areas with new flooring and providing new granite tops to the vanity units. The existing timber feature floors at ground and first floor levels were sanded and resealed. The existing carpets were replaced with new carpet tiles. The new Board Room and Directors Office were formed by using a full height frameless glazing partition system including providing full height glass doors. Forty new workstations were installed, mainly in a bench system configuration. The desk tops were made of Fenix, which is a nanotech material which has a “self healing” ability, to make the desktops anti-fingerprint stain, soft to the touch, opaque, and extremely durable so that it can withstand serious knocks and scratches. The seating chosen to compliment the desking were a high quality operator mesh back chair. The meeting rooms had the existing bench seating reupholstered, with new colourful red meeting room chairs added to compliment a new “boat” shaped Fenix finished board room table. Three existing Chesterfield sofas were reupholstered with good quality leather and reused within the new office and break out areas. If you need help with your next commercial refurbishment project view our services or contact us to see how we can help.